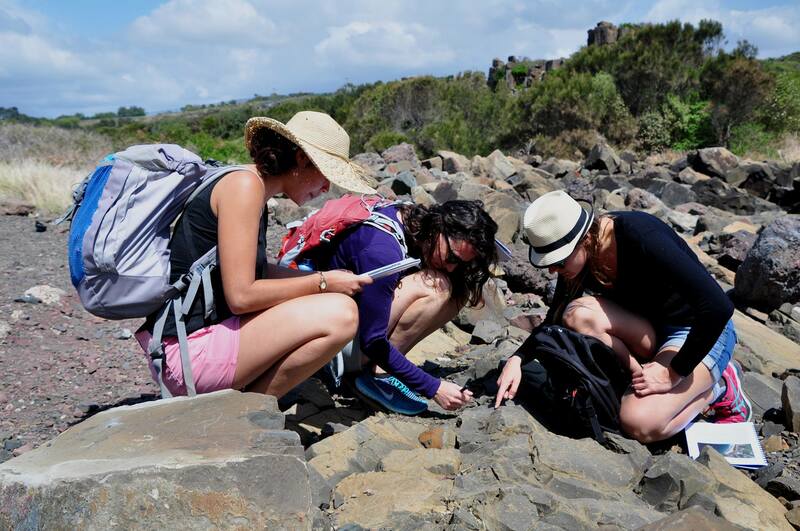 The collaboration between the EarthByters at the School of Geosciences, University of Sydney and the Lyon-based Augury geodynamics group, who are currently visiting Sydney, led to a field trip to the Late Permian-Early Triassic Sydney Basin succession, beautifully exposed along the coastal Illawarra region. Field trip stops included the Bombo quarry close to Kiama, the Bellambi Rock Platform, Bulli Beach, Austinmer and Coalcliff, where the Permo-Triassic boundary is exposed underneath the southern end of the Sea Cliff Bridge. The trip covered aspects of subduction dynamics and volcanism and a range of sedimentary environments in organic-rich shallow marine sediments.